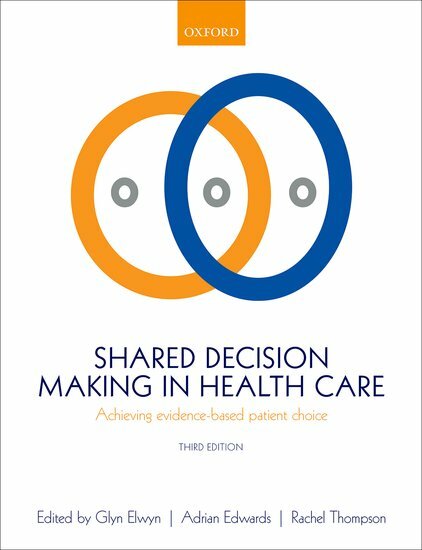 I was lucky enough to be asked to write the foreword to the 3rd edition of Shared Decision Making in Health Care: Achieving evidence-based patient choice, from Oxford University Press. Here’s the text of that forward. We are at what appears to be a Copernican moment in healthcare, where everything that learned minds thought was true – that the sun revolved around the earth; that miasmas rising from the ground, or humours contained within the human body, caused disease; that only magical beings called doctors could understand or participate in medical care – is being disproved. Medicine stands at a crossroads unlike any other transformation point in its history. As access to information – what I call the democratization of knowledge – has become as simple as the movement of a human finger, the relationship between doctors and the people they care for has undergone a seismic shift. But like many seismic shifts, it’s happening at a level that only those tuned to pick up the signals from it can sense. That I, a patient voice whose only medical knowledge has been acquired as an autodidact with strong research skills, have been asked to write the foreword to the third edition of Shared Decision Making in Health Care is a strong indication that the earth is moving beneath our feet. 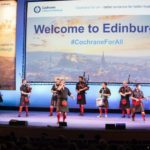 The knowledge exchange that is the bedrock of shared decision making is creating the mutuality that has been missing in medicine, making a full partnership between doctors and the people they care for finally possible. As is made clear in many parts of this book, building literacy on both sides of the equation is a must for shared decisions – information has to be shared with people in ways they can understand, which makes solid communication skills a must for both patients and anyone in clinical practice. This is true in medical research as well, as the need to understand what people actually want from medicine becomes part of the research process. And the people who look to healthcare for their needs – which is all of humanity – must have a full voice in saying what the value is in the care they choose to receive. Getting to that place of mutuality is still a big challenge for the healthcare system, though. The practice variation so well illustrated by the Dartmouth Atlas remains a roadblock, as does the lingering paternalism embedded within medicine itself. Co-creation of anything – from dinner to a decision about cancer treatment – requires all involved to be present, and equal, in the task at hand. 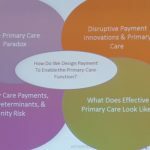 That’s a particular problem for underserved or disadvantaged patient communities, and in the factory model that healthcare has become for much of the clinical side, of healthcare delivery. Technology holds much promise for enabling and accelerating this partnership, but it also presents hazards moral and practical. How can we help someone understand their medical condition if they can’t read? How do we make informed choice a reality, and not just a radio button on an iPad screen? How can we ensure that the technology systems deployed to help us manage care don’t become our robot overlords? 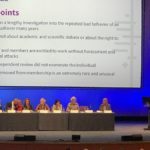 I see shared decision making – both science of and practice of – as the clinical pathway to resolving those questions, and to unlocking humanity’s full potential. If that sounds like hyperbole, I invite you to envision a world where people, and the medical professionals who help them work toward their health goals, are fully engaged with each other in that work. That would create a landscape where people would feel empowered to live their lives to the fullest. Sure, chronic conditions would still exist. Cancer would still be with us. No one gets out of here alive, but being able to live to the full extent of whatever one’s gifts, and one’s time, are is a gift in and of itself. Which would in turn yield gifts in the way of productivity, creativity, and community on a global scale. Homo medicus, meet homo sapiens. Partnership is not only possible; it’s essential if we are, as a species, to unlock our full potential. Starting with one of the most trust-imbued of human relationships – that of patient and doctor – and strengthening it through the mutuality of shared decision making, who knows what we could bring forth into the world? Let’s work together to find out. Prev Make America Sick Again!